Group travel options for people of all ages with special needs are becoming more popular and more varied, and trained travel agents make the planning easy. Are you a traveler with a special need looking to add a shore excursion or tour to your cruise vacation? Perhaps you or a relative are simply a slow walker. Whether anyone in the family uses a wheelchair, needs oxygen, has a hearing impairment or relies on a service animal, there is a group trip to meet those special needs. Today, there are more travel agents than ever offering trips and excursions specifically designed to accommodate travelers with special needs. Look for an agency focused on your specific need — wheelchair use, slow walking, respiratory problem, visual limitation, hearing impairment or other. Kristy Lacroix of Wheelchair Escapes recommends working with agents who are certified in Accessibility Travel by the Travel Institute and who are members of SATH, the Society for Accessible Travel and Hospitality. Some agencies partner with special needs organizations such as the National MS Society or the Diabetes Foundation, and also include educational components to their trips. Family vacationers have a responsibility to do omework too, to ensure that their trip is fun and rewarding for every participant. In selecting a travel agent, ask why he or she was drawn to this niche. Personal involvement means the agent has intimate knowledge of your challenges and understands the situation from your side. You want an agent to be candid about identifying trips that are unsuitable for you or a family member. You may also need an agent's help to determine how accessibility standards and rules vary by country. At destinations, are the sidewalks and terrain wheelchair-friendly? Will museums and other venues have ramps, elevators or hearing devices? What are the doorway widths? Are bathrooms accessible? On a cruise, for example, a traveler's service animal may not be permitted ashore on certain islands. Verify, rather than assume, that all details important to you are in place. Questions to Ask? How to Find the Right Trip? 1. Use an agency with solid experience organizing group trips for persons with disabilities, preferably one that specializes in your disability. Palm Beach Country Cruise & Travel works exclusively with Multiple Sclerosis. He also recommends the SATH (Society for Accessible Travel and Tourism), various web sites and the national non-profit agencies for your disability as being good resources for locating specialty travel agents. 2. Seek out experienced agents, who may ask questions about your disability needs that will be uncomfortable. Garnett suggests that families be candid and specific. 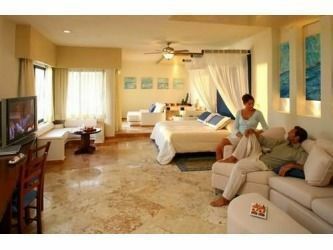 This is the first step in making the vacation experience as effortless and enjoyable as possible. 3. Select a disability-friendly group package. Celeste Belyea of CruisePlanners/Get Up and Go2 specializes in planning group travel for persons with respiratory problems. Her groups travel with "concentrators and enough oxygen to go to the moon." She says, "cruising offers flexibility. You can be active or just sit on the deck." Do you prefer group or individual travel? Wheelchair Escapes designs custom travel for individuals and small groups while Alana Mizowicki of Fun Cruises and Travel specializes in large groups of 100 or more in partnership with special needs organizations. Asking the right questions will help your family find the right fit. In general, cruises are a good choice for families with a variety of needs. Modern ships are highly accessible and visit multiple destinations while you enjoy a variety of dining and entertainment onboard. Connie George, a 15-year veteran of group tours for wheelchair users and slow walkers says cruise lines have more accessible spaces than land venues and ship personnel offer superior services. Her company, Connie George Associates, works with wheelchair users and slow walkers. Other disability cruise specialists like Passages Travel help families find and book group rates and sailing dates on cruises for the deaf. Don't worry if you can't reserve a designated accessible cabin. While Holland America, Princess, Celebrity, Royal Caribbean and others with excellent family programs have a large number of accessible staterooms fleet-wide, big groups can fill these quickly. However, you or your agent can make any stateroom more accessible by renting commode chairs, shower stools, patient lifts and other specialty equipment, including hospital beds and baby cribs from Special Needs Group. If you all agree on a cruise, then decide where you want to go, and select the group and ship that fits your interests. Generally, newer (and bigger) ships have more accessibility features including wider elevators, Braille menus and accessible signage. Most group cruises focus on fun, but some include enrichment programs tailored to certain disabilities. CruisePlanners/Get Up and Go2 holds seminars on medical advances, new technology and equipment updates. This agency and others also schedule time for you to be away from your companion or caretaker to interact with peers. "An important aspect of special needs group travel is learning what others are doing and making new friends," says Garnett. Be sure you have trip insurance to cover a last minute cancellation. No matter how experienced your travel agency, they cannot always make things perfect for all needs. He suggests families relax, expect a few challenges, and enjoy the trip. The TSA is concerned about special needs travelers — adults and children — who will be subjected to enhanced security proceedings at airports. They're tryiing to get the word out that travelers with disabilities and medical conditions, or their parents or guardians, should be sure inform every Security Officer if the traveler has any special needs or medical devices. With children, be sure to mention if you think the child may become upset during the screening process as a result of their disability. Do offer suggestions on how to best accomplish the screening to minimize any confusion or outburst for the child. 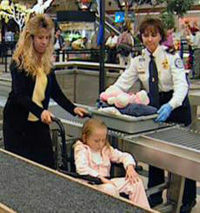 While the Security Officer will help you during the process by putting carry-on items on the X-ray belt, they cannot remove your child from his/her mobility aid (wheelchair or scooter). At no time during the screening process will you be separated from your child, even if a private screening is required. If your child is unable to walk or stand, the TSA Security Officer will conduct a pat-down search of your child while he/she remains in their mobility aid, as well as a visual and physical inspection of their equipment. Barnett says, "It takes teamwork to deliver a memorable vacation experience." According to Alana Mizowicki, her team consists of the cruise line staff, her agency associates, the partnering foundation and service providers such as Special Needs Group who can rent special needs equipment. 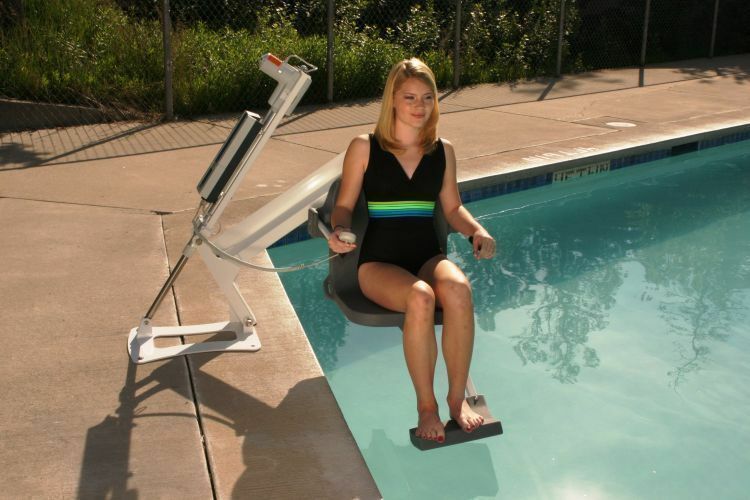 She also uses physical therapy, acupuncture and exercise professionals. "Travel is the opportunity to explore new possibilities; going beyond the diagnosis to become the most you can be," Mizowicki says. "That takes teamwork." "Everyone deserves to travel," adds Lacroix. "Just because you are in a wheelchair does not mean you cannot travel the world with dignity." Next Article Next Article How Important is Family Travel for the Soul? Have you recently purchased a motorhome, and have no idea what items you will need to make your next adventure worry free and enjoyable.